I have been invited to present my research at the Herrenhausen Conference on Digital Humanities. The Volkswagen Foundation, who organised the event, offered travel grants for young researchers to present their research topic in a short talk and a poster. Instead of presenting my research as a whole, I chose to talk only about an aspect of it: the problem of representing time digitally. Kräutli, F., 2013. 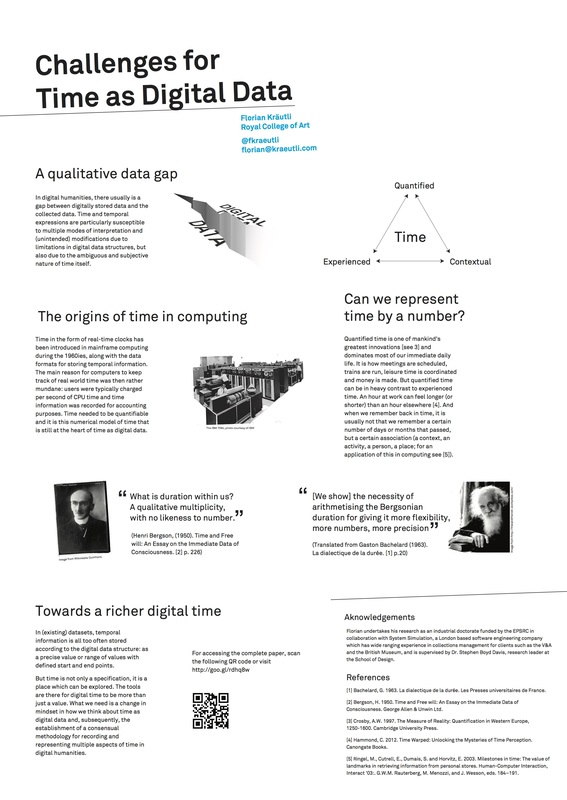 Challenges for time as digital data. Herrenhausen Conference: (Digital) Humanities Revisited. Hanover, 5-7 December 2013. Hanover: Volkswagen Stiftung.